One of the things that all of us in DARC are struggling with right now is gathering the collection of objects we will need for our presentation at L'Anse aux Meadows in August of 2010. This is a major undertaking for the group, and we all want all aspects of our presentation to be at the highest standard possible. Picking 'what they carried' is key to the image of the Viking Age that we will create. Objects define the characters and shape the activities undertaken. By serving as jumping off points for conversation, objects help mold possible discussions. To avoid some confusion, often there is a differentiation made between 'reproductions' and 'replicas'. Reproductions are generally held to be duplicates of the artifacts as they now exist (partial or corroded for example). Replicas are generally considered to be a duplicate of an object when it was 'new'. Our interest here is primarily on replicas, be it duplicates of a specific objects, or something within a known type of object. There are a number of criteria under which any specific replica object might be evaluated. This can get a bit confusing, as there is considerable overlap in the qualities expected, especially at the higher levels of detailing. This is perhaps so obvious that sometimes as a separate level it is disregarded. Here, obviously modern era objects are avoided and replaced with a sample from past history. 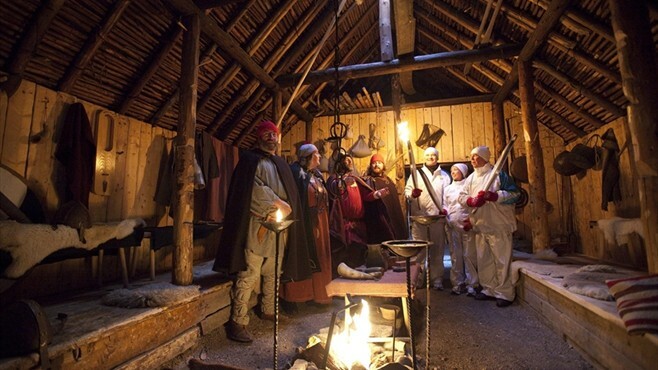 An axe is used instead of a chain saw, a flame for lighting over electricity, clothing has the feel of 'costume'. Generally the combined effect of a collection of such objects is to leave the viewer with the impression of the scene being 'not modern day' but the exact historic period being represented may not be immediately obvious. The object now will fit into the general types known from artifact samples from over the spread of the historic period of interest. A elements from a number of specific sources may be combined into one replica. An axe has a specific shape to head and handle, an oil lamp may replace a candle, clothing now has the feel of 'ethnic costume'. At this point objects begin to draw on quite specific cultural prototypes. (Danish rather than Saxon for example.) There may be a narrowing of selection to reflect individual geographical locations. There will start to be a narrowing of focus to match the artifacts chosen against their specific functions. A combat axe as distinguished from a felling axe for example. Which may be extended backwards by 'heirloom objects'. The turtle brooches in Iceland a perfect example. Which is often something that restricts the range UP - not as much DOWN. Even a king might use a wooden spoon! Most often this restricts overall quality and choice of materials, a brooch of simple iron rather than one of engraved silver. Here the rough appearance of an artifact is duplicated. This produces an object which is essentially decorative only ( a stage prop), and where the both the physical materials and production techniques used may be modern. Such an item will be acceptable when viewed from a distance of several feet. For example, most clothing used in historical presentations falls into this category - the cut may be loosely based on period types, but usually the fabrics are modern and sewing machines are used in the construction. Generally only the simplest of information may be gathered through the use of objects of this level. Here the utility of an artifact is duplicated. Some care has been used to match materials and processes to match an existing artifact type. This item would be acceptable when held in the hand and would match the general performance in use of an original. A good example would be a hand forged axe properly heat treated and balanced. Although made using modern materials, there would not be a large difference in handling between these items and an original artifacts. Basic information about the characteristics of an object can be gained at this level. Here the original materials and production methods are duplicated, with special care made to duplicate the exact measurements of an individual artifact. A reproduction shawl made of wool and hand woven; with careful choice of colour and thread textures would be an example. Although it would not be required that the fleece to have been naturally dyed or hand spun, there would be no observable difference to indicate modern steps in the chain. The process of creating the object is now a source of information as well as that supplied by its actual use. At this point the raw materials themselves are created using period techniques, followed by using period production methods to produce an exact replica of a specific object. The item will be acceptable even using detailed analysis. At this level, the chain of production often becomes quite involved. 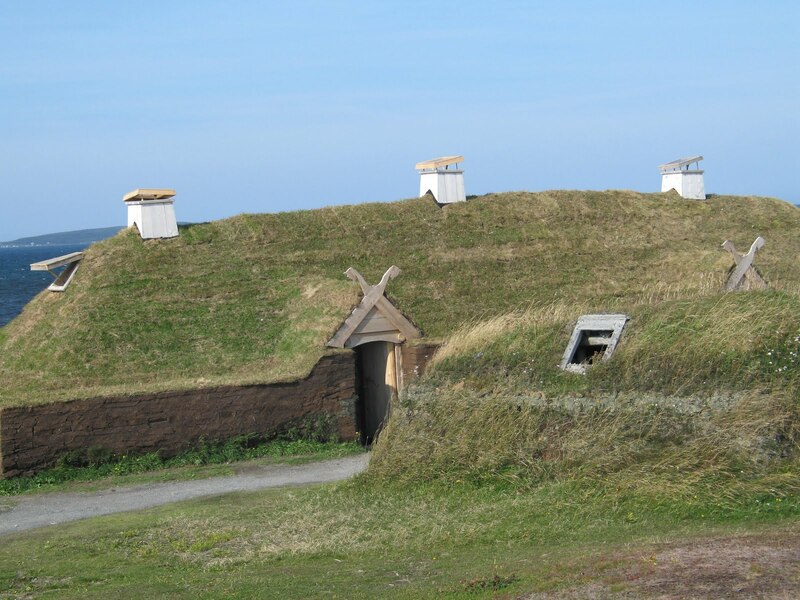 For example, the production of an iron boat rivet (such as found at L'Anse aux Meadows) could involve recreating a charcoal kiln, processing bog iron in a bowl furnace to produce the iron rods, then finally the manufacture of the rivet itself using period styled forge and tools. Because of the complexity and scope of such experiments, the amount of data gathered is large and can often result in unexpected findings. Every attempt should be to include as many objects as possible that exist at the full range of Level 4 (Specifics). Ideally all of date / location / status should be matched to individual characterizations. Ideally the majority of our objects will confirm to Level Three (Materials). Those demonstrating individual crafts specialties should endeavor to include some objects at Level Four (Production). A possible third set of qualifications can be to sort objects by their effective contact distances. That is the distance where any differences from historic prototypes become obvious. What he is getting at here is that differing objects are intended for different 'contact distances'. At a minimum there should be no easily observable modern aspects at that distance. A piece of clothing should have hand sewn seams on the outside edges, but any seams underneath are not observed, and can thus be modern machine stitching. A knife blade could be made of roughly polished stainless steel, as normally it is never placed in the hands of visitor. A drop spindle, which might often be placed in the hands of a visitor, needs to have a high level of detailing. Generally this means that all our objects must pass observation at a distance of at least three feet (conversation distance) as a bare minimum. A very good number need to pass observation at one foot (in the hand). There may be some rare few that need to withstand observation at six inches (close to the face). kidnapped by Gypsy pirates, I became a Buddhist." I recently had some images of the new repairs to the main hall at L'Anse aux Meadows provided to me . The first is an interior shot. This is a promotional image, shot during the recent Olympic Torch Relay, which started one leg at LAM. Even the larger image (click) does not have a lot of detail. It also suffers from use of a wide angle lens. Two major modifications stand out. The interior walls have all been planked. It also appears they have raised the clearance between the side walls and the angle of the roof. The second image shows the restoration work on the exterior of the hall. The smoke holes have been converted entirely. Compare these with that seen on the 'small dwelling house' in the fore-ground, with its original smoke hole cover.